Arguably the greatest game show of all time has been re-built and we can all take part. 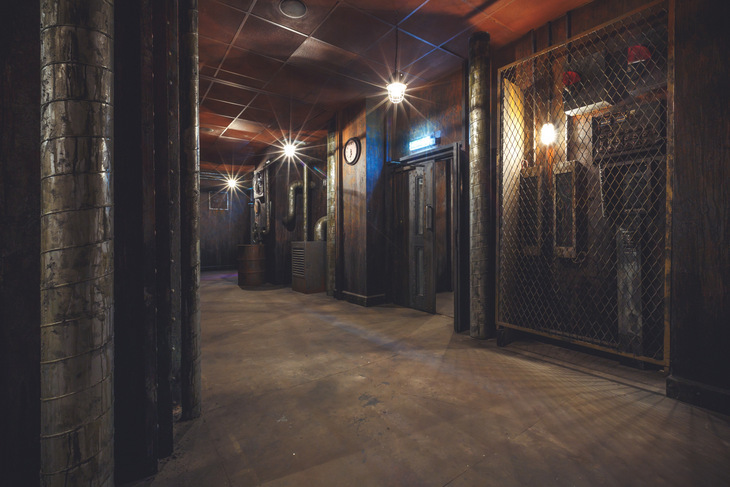 We grew up watching The Crystal Maze, so we were looking forward to this all week. The briefing room feels a little dull at first, as we watch clips from the original series on a television. But then enters our 'Maze Master', the wonderfully named Zelda von Paperhausen. She channels all of the madcap energy of Richard O'Brien, leading us on a sprint around the maze as the familiar music sparks up. We quickly develop a flirty rapport with Zelda and she is superb in guiding us around the maze. There are 20 different Maze Masters, assigned at random, with each bringing their own unique take on proceedings. Into the maze itself. 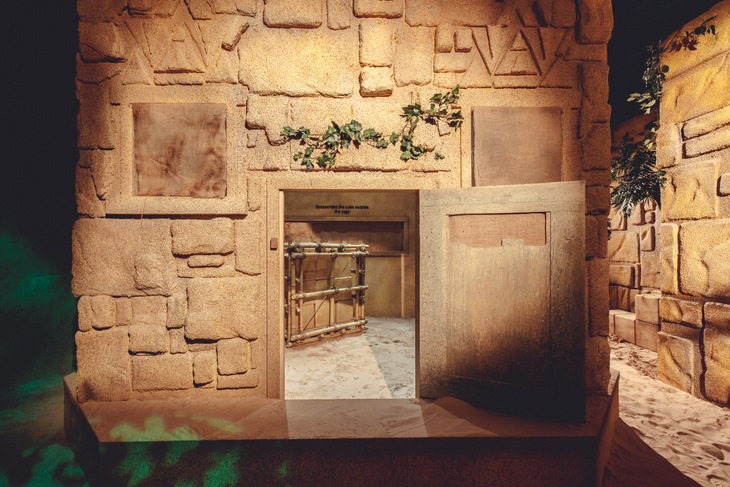 The sets are well designed with all four of the original zones — Aztec, Medieval, Industrial and Futuristic — feeling true to the original series. When we raised the prospect of an Ocean zone, we were quickly shot down — "we don't mention the O word". One of many nice touches is that Medieval feels chilly and Aztec stiflingly hot. We won't spoil any of the games but all four categories of physical, skill, mental and mystery are present. The games themselves feel like they could slot right in to the original series — they are lo-fi enough that they would be at home in the early 90s. The level of challenge is just right, in that they all feel winnable within the time limit. Just like the series itself, one team member must attempt the challenge. But others can shout instructions through the door or windows to help out. This can be a help or a hindrance depending on how calm your fellow team members are. Lots of shouting doesn't help anyone, but good teamwork makes light work of the trickier puzzles. It's remarkably intense and our hearts were racing just watching fellow team members, while actually taking part felt like a manic blur. Contestants should keep an eye out for a secret treasure chest in each zone, which will win them a special prize at the end. So how did team Londonist do? We managed to achieve a record-equalling 16 crystals, only failing to complete two of the challenges. Given that we had only four team members compared to the usual team size of eight or nine, we're pretty chuffed with this achievement. And then on to the final challenge of the dome itself. Start the fans... and then grab as many gold tickets as we can. This is where our low numbers let us down but we still gathered more tickets than a team our size had any right to — placing us well above some other publications who had a full complement of team members. £50 is a lot to pay per person but it stacks up nicely against other immersive experiences such as You Me Bum Bum Train and Secret Cinema. It is reasonable given the attention to detail and how unique an experience it is. We had tons of fun and the adrenaline rush never lets up over the 90 minutes. Fans of the series will love this. And those who never watched the original series will love it too. Mumsey would approve. 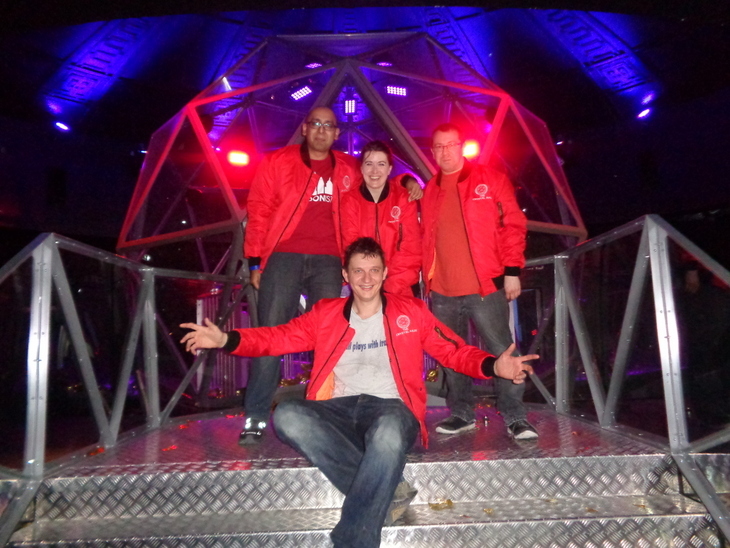 The Crystal Maze is on at a location between Angel and King's Cross and is now taking bookings. Fair warning that you may have to wait several months, as availability is limited until December. Tickets are £50 per person on weekdays and £60 on weekends. 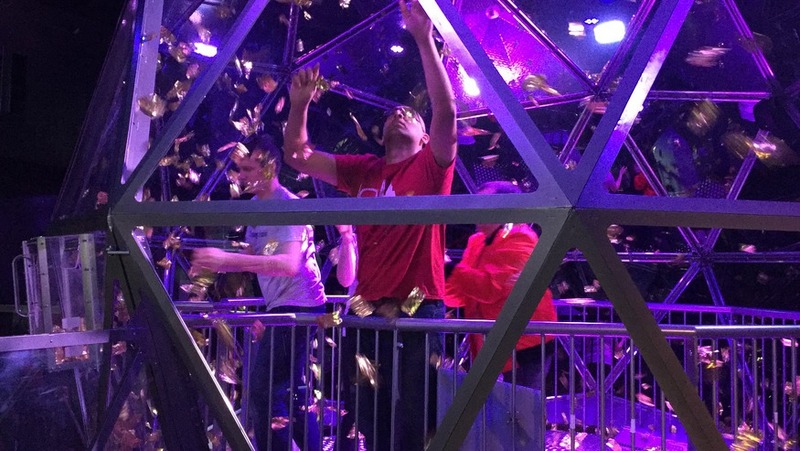 Londonist experienced The Crystal Maze at a free press viewing.